There are few things in life that are more fun and rewarding than bringing a dog into your family. Your dog will offer your family years of love and loyalty, as long as you provide him with food, shelter, responsible care and love in return. With these ten basic care tips tucked safely under your belt, you will be prepared to offer your pooch the best life he could ask for. 1. Give your dog an identification tag. Every pet should always wear a collar that sports an identification tag with your name, telephone number and address. It is a fact of life that dogs can sometimes get out of their houses or yards, and may need a little help getting back home. If your dog’s got some sort of identification, it will greatly increase the chances that he will be returned safely to you. 2. Talk to your veterinarian or local animal shelter about the rules and regulations governing pet ownership in your area. Know the type of licensing and vaccinations that are required to keep your pet legal and up to date on health essentials. 3. Whenever you take your dog outside the confines of his house or yard, make sure that he is on a leash. No matter how well-trained your pet might be, you cannot guarantee that you will be able to control your dog under all circumstances. Some breeds, like Siberian Huskies, are bred to run, and will do so at the first opportunity. Keeping your dog on a leash is best for you, your dog and your community. 4. Dogs are social creatures that like to be with their families, which is why it is important for your dog to spend time indoors with you. While a fenced yard and dog house are both good ideas for your pet, they cannot replace the companionship of people. Give your dog a pleasant outdoor space, but don’t leave him out there alone for long periods of time. 5. Just as people need regular checkups to stay healthy; your dog needs an annual visit to the veterinarian for a thorough examination. If you don’t have a veterinarian yet, there are plenty of resources that can help you find a good one, including the local animal shelter, or a friend who has dogs. A regular relationship with a vet is a key to maintaining your pet’s good health. 6. By spaying or neutering your pet, you are doing much more than just helping to control animal overpopulation. Dogs that are “fixed” tend to live longer and healthier lives, and have fewer behavioral problems like biting. Spaying or neutering pets should be one of your first steps on the road to responsible pet ownership. 7. 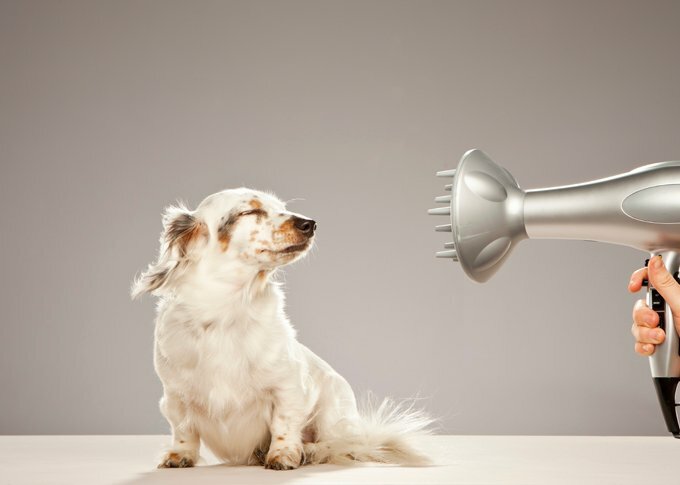 A conscientious dog owner will make sure that his pet has a nutritious diet every day. Your veterinarian can recommend a food for your dog, and advise you on appropriate portions. Your dog also needs to have fresh water readily available 24-7. 8. You wouldn’t think to refrain from training a child in appropriate behavior, and your dog needs the same loving care from you. One of the best ways to learn how to train your dog using positive methods is through a training class. Not only will you learn how to properly control your pet, but you and your dog can enjoy the bonding experience as well as the opportunity to socialize with other dogs and their owners. 9. Your dog needs to stay physically fit to stay healthy, and it will be up to you to see that he gets sufficient exercise. Finding plenty of time to play with your dog, combined with a daily walk or two, should give your canine companion the level of physical activity that he needs. If you are in doubt about how much exercise is enough for your dog, you can talk to your veterinarian about what is appropriate for him. 10. You can bet that your dog is going to offer you plenty of love and loyalty, and this is primarily what he will want from you in return. It is important that you show patience when working with your dog. If he is exhibiting some behaviors that you are having trouble controlling, you can contact your veterinarian or animal shelter for additional advice and guidance. A dog can be a wonderful addition to your family. With the proper care, he will be a welcome member of your clan for many happy, healthy years.